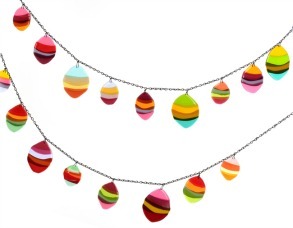 How about a chain of leaves in an assortment of colours to hang across a pathway or from tree to tree to make a delightful addition to you garden? These look lovely in the winter when the garden looks bare. 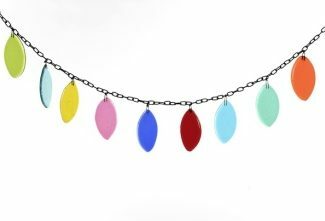 Chain of 17 fused glass leaves. Chain of 9 leaves – each leaf of a single colour.